The Mido Commander, one of the stand out models in the Mido portfolio, has been given a new look design without losing any of its distinctive character. Perhaps one of the unsung heroes of the Swatch Group, Mido nonetheless still produce some very handsome watches. 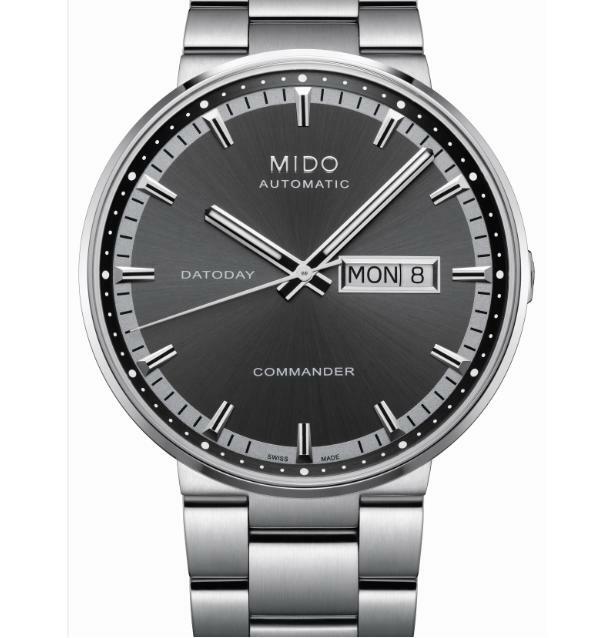 With an anthracite sunray satinated finish, the Commander II still bears the inscription “datoday”, signifying the day and date aperture. Through their shape the applied indexes are said to evoke the latticework of the Eiffel Tower – though it has to be said, it’s very subtle. They are treated with white Super-LumiNova, as are the hour and minute hands, making it easy to tell the time even at night. The crown remains integrated in the case, which has evolved from a one-piece design to a three-part structure. Founded in 1918 by George Schaeren, the Mido brand began life making a range of art deco inspired watches that featured innovative designs and unique shapes. Schaeren was quite an innovator himself and by 1920 he came up with the ingenious idea of producing a range of wristwatches that were shaped like the radiator design found on such cars as Lancia, Bugatti and Hispano-Suiza, which he sold to the members of respective automobile clubs and associations as a form of membership card. The sales psychology and marketing behind the idea was brilliant. Only very wealthy people could really afford to buy cars in the 1920’s, which meant that Schaeren could target these same people to buy one of his watches, which of course would have its own hefty price tag attached. Mido watches proved to be very popular with drivers as the watches enabled them to show others that they owned a Lancias, Bugatti or Hispano-Suizas without having to be behind the wheel of the car itself. 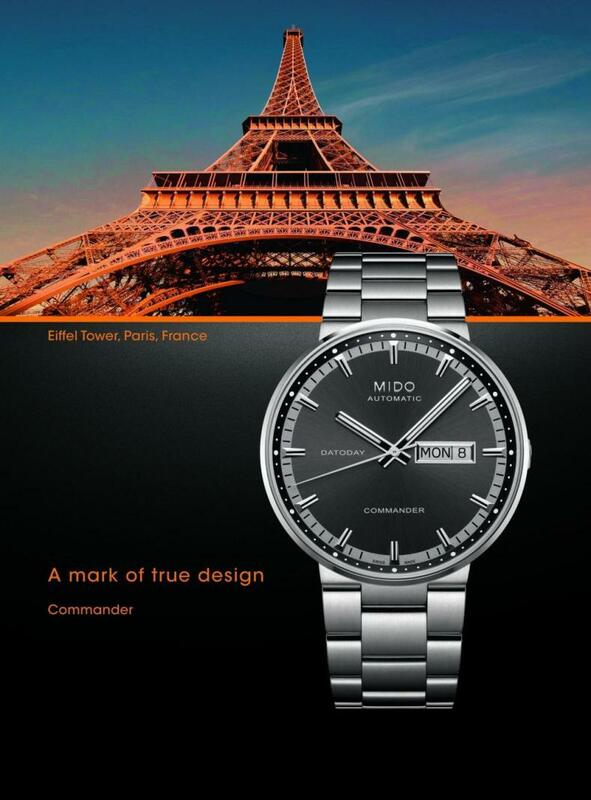 Today Mido is a member of the Swatch Group, a stablemate of other mid-range Swiss brands including Tissot and Certina.